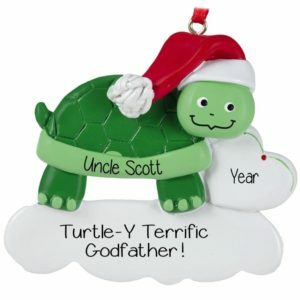 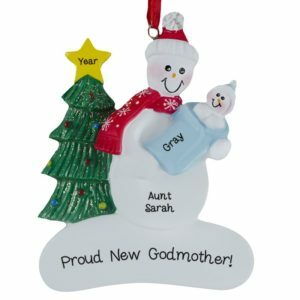 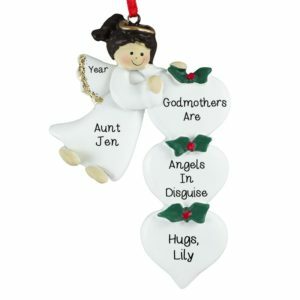 Browse our fun selection of Godfamily ornaments for the perfect Christmas gift this year! 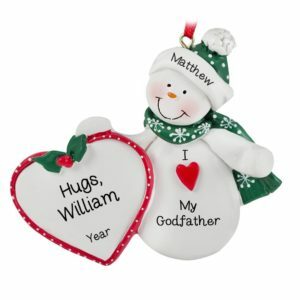 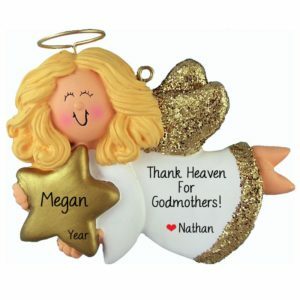 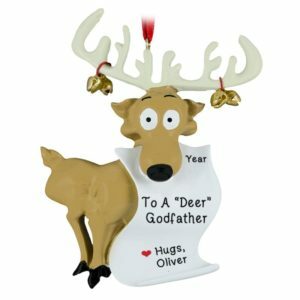 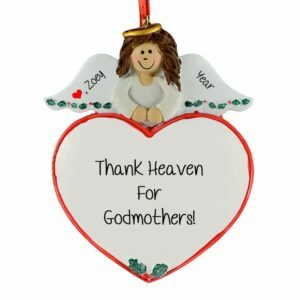 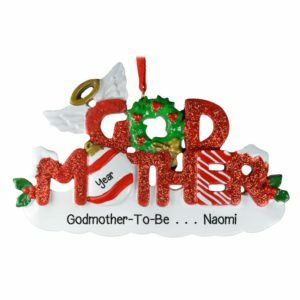 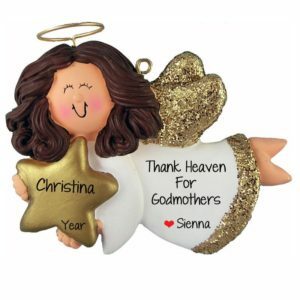 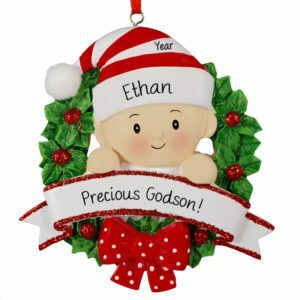 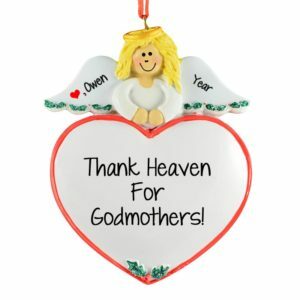 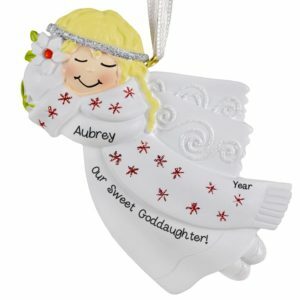 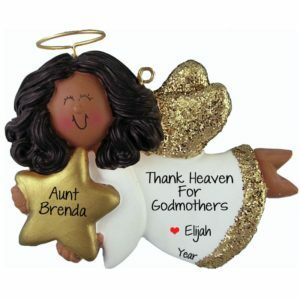 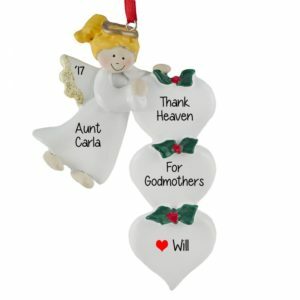 An ornament from Personalized Ornaments For You will be a beautiful keepsake to remind your Godparent or Godchild of the special love and bond you share. 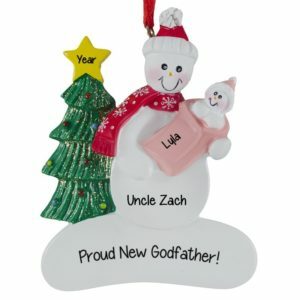 Commemorate the occasion with an ornament hand personalized by one of our talented artists with your Godchild’s or Godparent’s name, date, and a sweet sentiment like “Thank Heaven for my Godson” or “Proud New Godmother!” Our ornaments make great place card settings, are perfect to tie onto a package, and are excellent stocking stuffers. 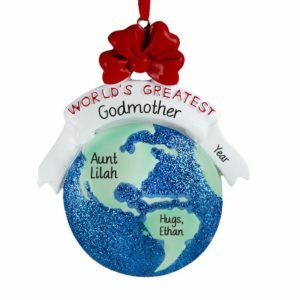 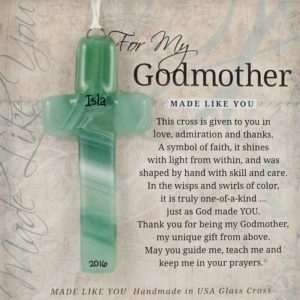 Browse our selection of resin, dough, and glass ornaments to find an ornament that will remind your loved ones year after year of how much a part of each other’s lives you truly are.